Quality eye care where the patient comes first! 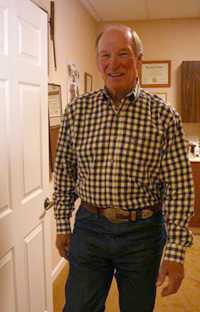 Dr. Victor F. Child, a primary eye care doctor in Sonora, California, has been serving Tuolumne and Calaveras County for over 36 years. He and his staff have created a comfortable atmosphere and are dedicated to giving you the best care for all your vision needs. 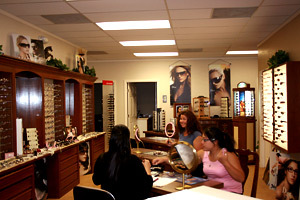 Dr. Child provides quality personalized eyecare and comprehensive health exams. He specializes in vision care and contact lens related problems and has great success fitting the newest designs of both soft and hard contact lenses, including bifocal contacts. Dr. Child has extensive training and experience in treating and monitoring medical conditions of the eye. See him first for any concerns relating to your vision care, eye health including eye desease, infection or injury. He works in conjunction with Zeiter Eyecare and Pacific Laser in order to give his patients the best of Optometric and Opthalmology services. 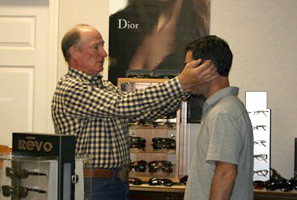 At the Optic Boutique of Victor F. Child, O.D., you will find a wide range of eyecare products and frames hand picked for your viewing. We carry beautiful and fashionable frames from Calvin Klein, Liz Claiborne, Banana Republic, Juicy Couture, Persol and many more. Dr. Child received his Bachelor of Science degree and Doctor of Optometry degree from University of California at Berkeley. Dedicated to continuing education, Dr. Child is always up to date with the latest eye care products, services, and treatments.